An electric guitar’s sound is deeply influenced by its pickups. For a musician who has little or no knowledge of electronics the matter can often seem to be incredibly complicated. When it comes to electronics in general, pickups are quite easy to wrap your brain around. This article will explain the connection between the electronics and sound. 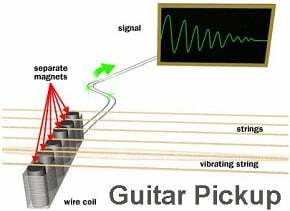 There are two basic types of pickups for electric guitar: magnetic pickups and piezoelectric pickups. The piezoelectric pickups work with all kinds of strings, while magnetic pickups work only with steel strings. Single coil style pickups are sensitive to magnetic fields produced by fluorescent lamps, and other sources of interference, and are liable to attract hum and noise from these types of outside sources. Dual coil pickups use two specially designed coils to minimize this type of outside interference. The positioning of the magnets is different for different pickups. Some set ups have magnets below the coils and cores of soft iron within the coils, while others have rod or bar style magnets embedded directly in the coils. The coils themselves are made up of a bobbin that is wrapped with a small copper wire. The number of times that the wire is wrapped around the bobbin and even the gauge of the wire will affect the sound that the pickup is able to transfer. Some pickups will have a metal cover for shielding and protection of the coils, others have only a plastic cover that does not shield against any sort electromagnetic interference, and still others have only isolating tape for protecting the wire. Replacing the standard pickups that came with your guitar will allow you to change your sound up without purchasing another instrument. 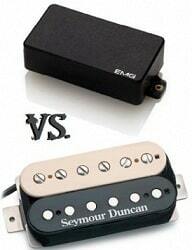 Some pickups have higher or lower voltage outputs. For most pickups, the output voltage will be between 100 mV and 1 V RMS. High output pickups allow you to get a lot more drive out of your amplifier without pushing the amp so hard. 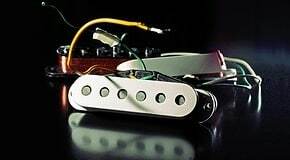 Lower output pickups generally produce a bit cleaner or brighter sound. In today’s market there are so many different types of pickups that it can often become confusing to get a good idea of what the best option for your style of playing is. Along with the pickups that come with your guitar, there are also a plethora of replacement pickups out there. These range from full pickup building kits to pickups that are wired and ready to install. Each pickup will produce its very own unique sound. One may have a very metallic sound while others have a warm mellow quality to them. 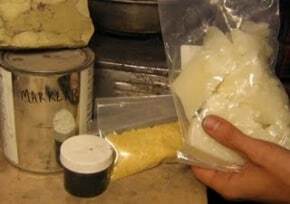 This is typically dependent on not only the materials that the pickup is made from, but the quality of the instrument that they are transferring sound from. When purchasing replacement pickups for your guitar, be sure to do some research about your instrument and learn as much as you can about the various options available to you.